Top Japanese jockey Yuichi Fukunaga is coming to ride in the United States for a couple of months. Yuichi's visit will begin June 28th and he'll ride at Churchill Downs until July 1st. Then he'll venture to Betfair Hollywood Park and Del Mar, according to my Twitter acquaintance Kuniyasu Arai (@uk_maniax). On June 3, Strong Return won the Yasuda Kinen (Jpn-I) in a record time at Tokyo Racecourse with Yuichi Fukunaga aboard, a victory nabbed Japan's spring championship event for turf milers. The aptly named Strong Return beat the famous Grand Prix Boss in this return from a right foreleg fracture in the championship run. Kuniyasu, Kate Hunter (@KeibaKate), and I all discussed Yuichi Fukunaga's fellow Japanese jockey Hiroki Goto's visit to the States last year, which you might remember from the profile I wrote on him last July. Yuichi has ridden great horses such as Cesario and King Halo, a son of Goodbye Halo, who are Kuniyasu's favorite horses that Yuichi has ridden. 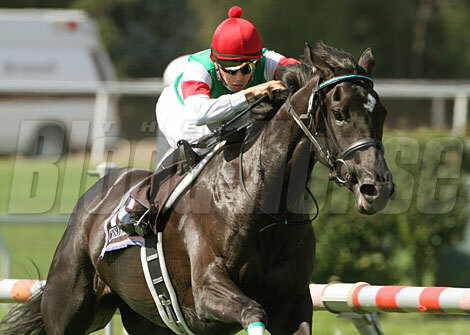 Cesario is a legend in Japan for her victory in the 2005 American Oaks (gr. IT). 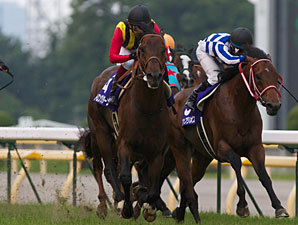 The RacingPost.com has a great listing of all of Yuichi's major victories and the horses he won with. When you research the significance of Cesario in Japanese racing history with America, you'll learn some pretty fascinating facts. Cesario's jockey was of course Yuichi Fukunaga, but Cesario was also the first Japanese bred and trained horse to win an American Grade I race. 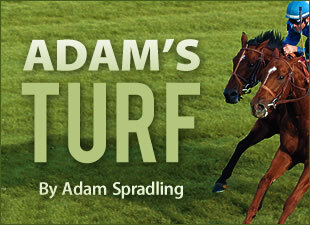 Jack Shinar states in our BloodHorse.com recap for the 2005 American Oaks, "Cesario demolished an international field of 3-year-old fillies." I asked Jack what he remembered about the race and Jack said the excitement was definitely tangible. Jack mentioned that there were a lot of Japanese flags waving and the winner's circle was crazy with emotion. Cameras, screaming and pride. 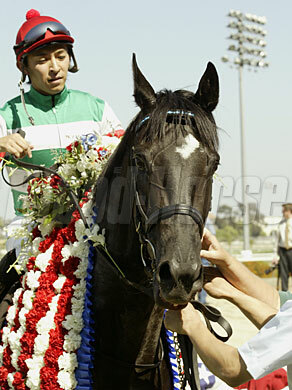 Cesario and Yuichi Fukunaga after winning the American Oaks. Cesario happens to be a granddaughter of Sunday Silence. With all of the comparisons of I'll Have Another's situation to that of champion Sunday Silence, you also have to examine the impact of Sunday Silence on Japan's breeding industry and bloodlines. 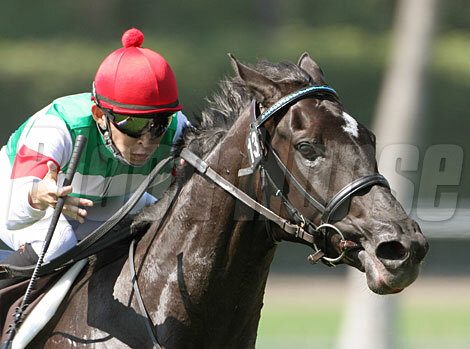 Sunday Silence has been significant for Japan. He became Japan's leading sire 13 consecutive years and is now their leading broodmare sire. Read further on the IHA and Sunday Silence similarities. 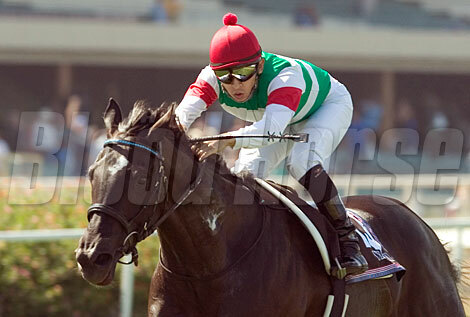 Cesario won the Japanese Oaks prior to the American Oaks (gr. IT) at Hollywood Park. However, Yuichi mentioned, "I think it was better than her race in the Japanese Oaks." following the American Oaks. Cesario (Special Week-Kirov Premiere by Sadler's Wells) was retired with five wins from six starts earning $2,578,568 and that only loss was in the Oka Sho, Japanese One Thoursand Guineas. Read about the jockeys that Yuichi faced in the American Oaks. Yuichi Fukunaga following his American Oaks victory. An update on our old friend and favorite Arrrrr! He has been successful in his first Equitation Show 6/17/2012. You need to read the blog post to appreciate how driven Arrrrr still is, "he didn't refuse a jump." Sounds about right. Dance Floor Maniac finished 2nd beaten by 3 1/4 lengths, on June 26, 2012, at MOUNTAINEER CASINO RACETRACK & RESORT in Race 8. Dance Floor Maniac finished 2nd beaten by 2 lengths, on April 29, 2012, at MOUNTAINEER CASINO RACETRACK & RESORT in Race 7. Darth Tater finished 1st by 2 lengths, on June 9, 2012, at HOLLYWOOD CASINO AT CHARLES TOWN RACES in Race 8. Darth Tater finished 3rd beaten by 1 lengths, on May 12, 2012, at HOLLYWOOD CASINO AT CHARLES TOWN RACES in Race 2. 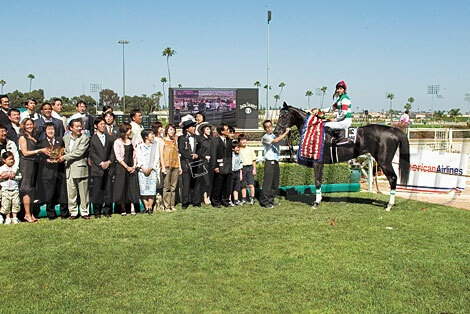 Cesario and connections in the Hollywood Park winner's circle following the American Oaks.